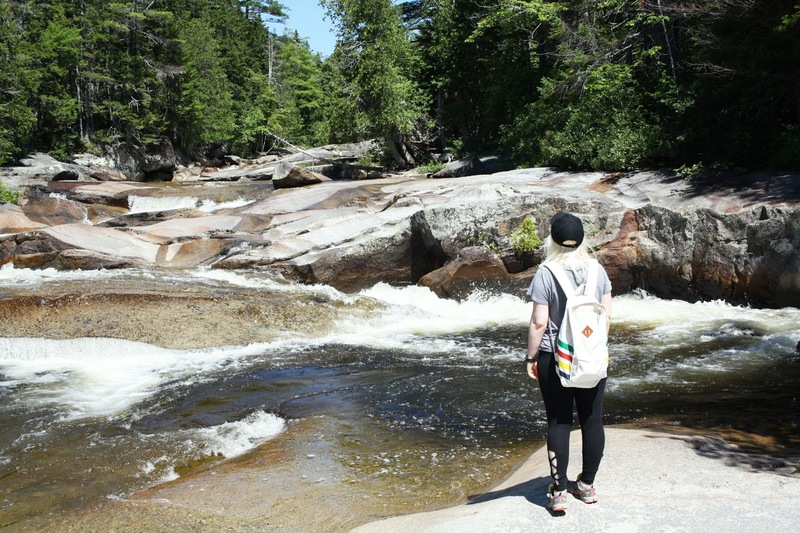 For my 25th birthday I decided that I wanted to explore part of Maine that I had never been to before-- The Maine Highlands. More specifically, Baxter State Park. 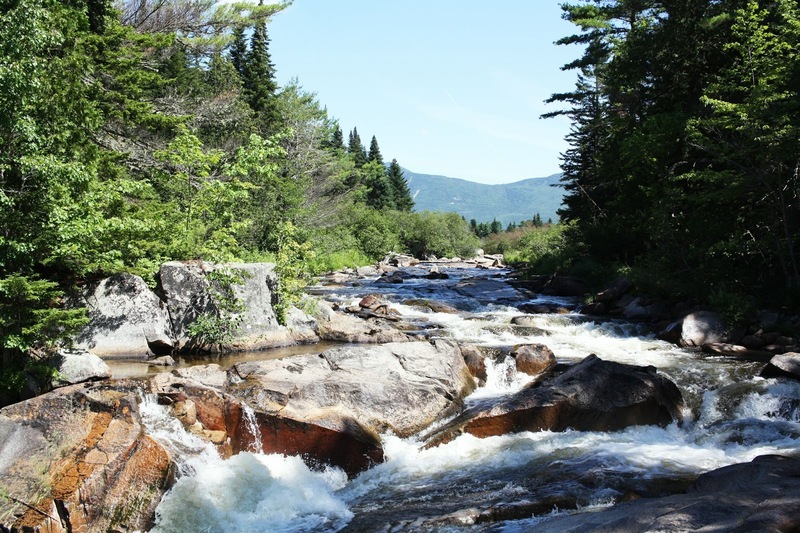 Baxter State Park is located about 90 miles north of Bangor in Millinocket and is over 200,00 acres in size. 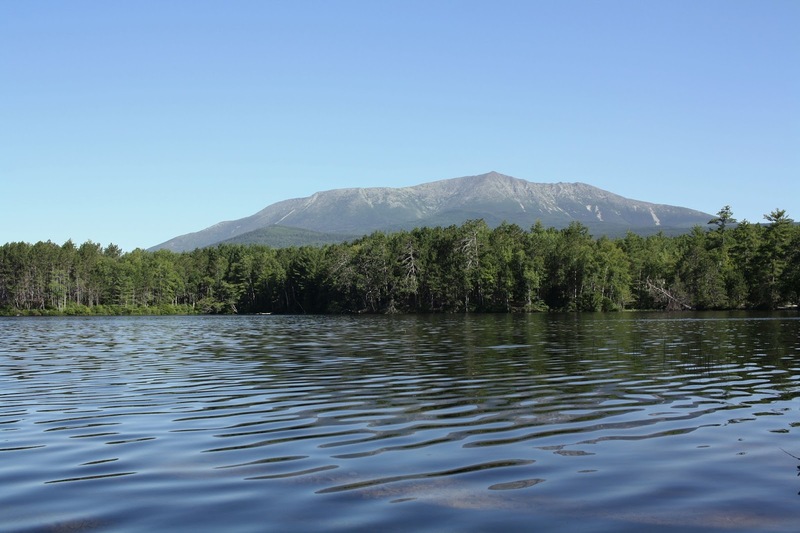 Mount Katahdin, the main attraction at the park, marks the end of the Appalachian Trail and is the tallest mountain in Maine at 5,267 feet. Spencer and I left our house at 6 in the morning and arrived at the park around 8:30. Once we passed through the Bangor and Orono area, we hardly saw any other cars on I-95. 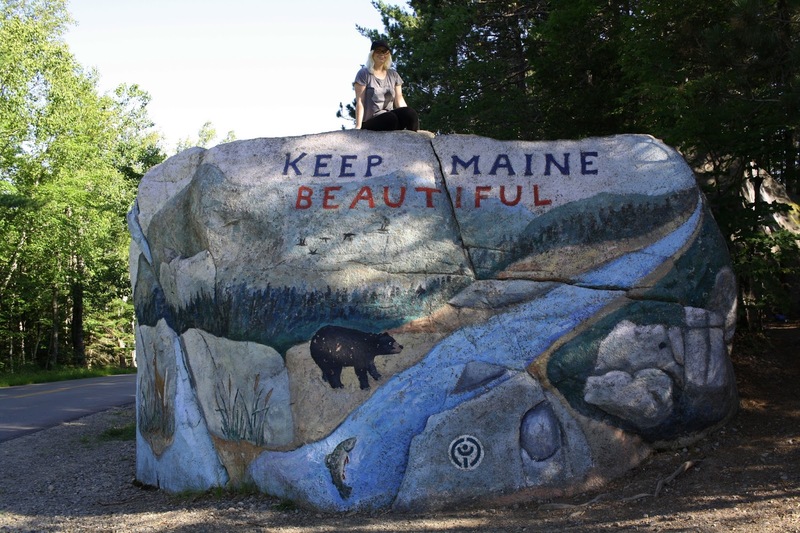 We entered the park through the south entrance and didn't lose cell phone service till we were near the Keep Maine Beautiful Rock, which is located not too far from the entrance of the park. And oh, the irony. There was so much litter hidden behind that rock. C'mon people. Before we got through the park gates we stopped at a little info center and talked to a ranger to get an idea of what to do. The ranger gave us lots of good ideas of trails to hike and informed us that kayak and canoe rentals were only $1 per hour, which we didn't end up doing but it was good to know. Honestly I didn't know much about Baxter before we went, so talking to the ranger was very helpful. Plus, we bought some stickers, patches, and Spencer got a hat which he says is the best hat he's ever owned. Before we left the info center, we walked around to the back of the property to Upper Togue Pond for a great view of Mount Katahdin. Next we got to the park gates. The person ahead of us was asking the ranger at the gate a million questions and caused a huge line to form-- they should have stopped at the info center! 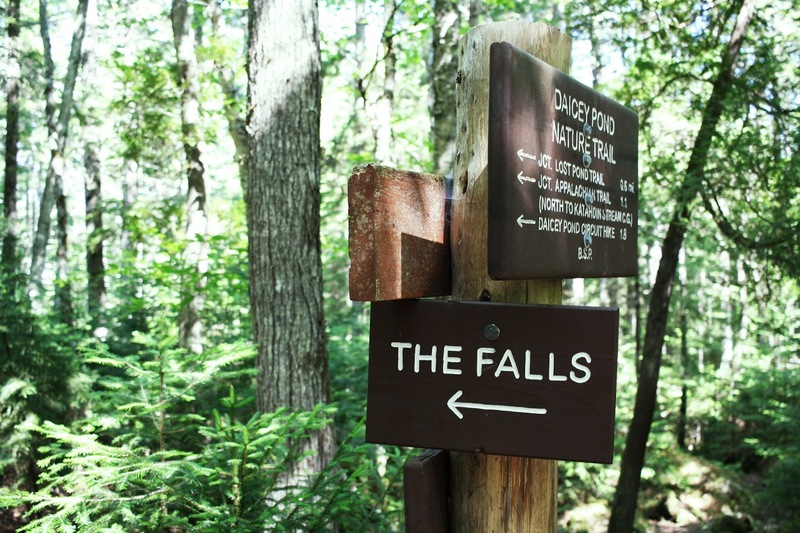 But anyway, the ranger asked for our names and emergency contact information-- that's not something I've ever had to do to be admitted into a state park before-- and we were pleasantly surprised to find out that there is no entrance fee for Maine residents. Once we got in, we felt a little lost even though we had a map. We didn't really know where to go or what to do, even though the ranger had given us a dozen ideas. We saw a sign for Daicey Pond and turned off there. I don't think we actually saw Daicey Pond, but we found a trail to Little Niagara Falls and Big Niagara Falls. The trail was 2.4 miles long and pretty easy. The beginning was a bit muddy but it wasn't a big deal at all. The rest of the trail was pretty rocky, but flat. The woods were blanketed in thick moss, ferns, and a dozen varieties of mushrooms. On the way back we encountered a lot more people, including some young children who seemed to be doing just fine. We drove around a little more, taking in the views, before we had to head home. This was only a day trip, so we only experienced a tiny bit of Baxter. It was a long drive, but it was worth it. It was so secluded and unspoiled there. Inland Maine is much too underappreciated. Bonus: I finally remembered to take some video footage, since I'm always saying that my photos don't do enough justice for the beautiful places that I have the privilege of living near. Be sure to watch it in HD! 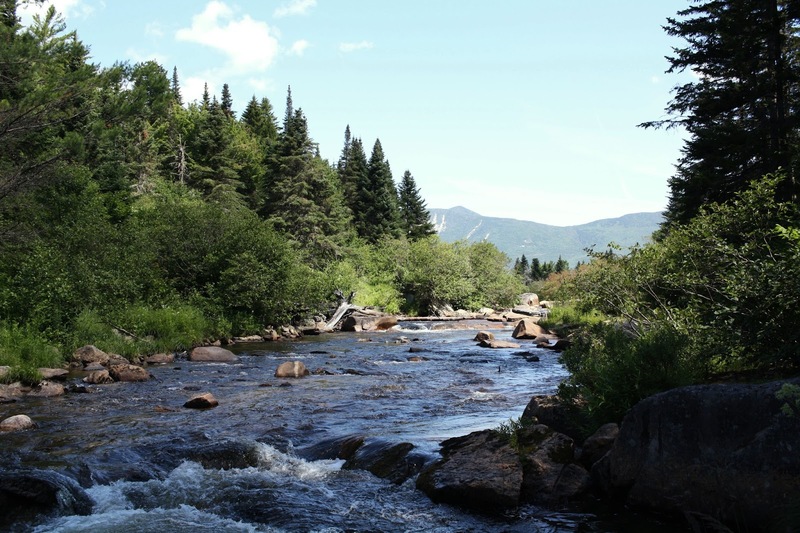 4 comments on "Baxter State Park "
What a beautiful park! I am a HUGE fan of hiking, especially with my pups, so we spend a lot of time at our local parks here! Your photos are so beautiful, it looks like an amazing place. The falls look wonderful. How frustrating about all that litter behind the rock though? Littering winds me up so much, it really isn't hard to not throw your rubbish on the floor.